The fleet modernization program put together by the Russian Navy Ministry in the years following the Russo-Japanese War included a whole array of very modern, fast warships: battle cruisers, destroyers and light cruisers. 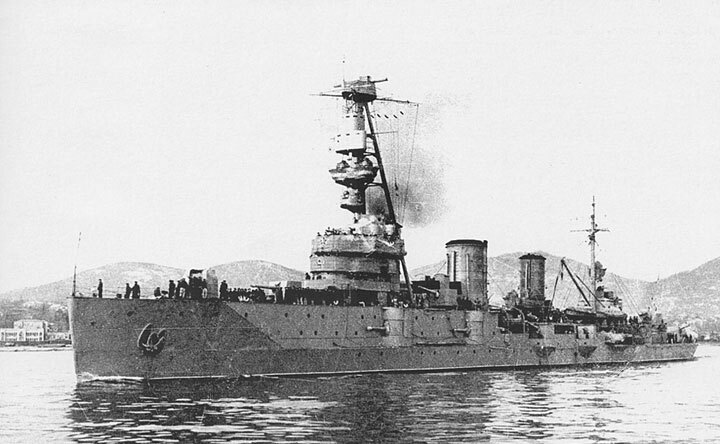 To fill the light cruiser role, the Russian Naval General Staff initially asked for an enlarged version of the fast cruiser Novik, reputedly the fastest warship in the Russian fleet. Built in Germany, Novik had been sunk in battle with two Japanese armored cruisers and with her light armament (six 120mm, or 4.7-inch, guns) she could do nothing to fend off the bigger enemy ships. The new ship would also be fast, but carry 152mm (six-inch) guns and have greater size and therefore staying power. That requirement evolved, as the Naval General Staff steadily increased the size of the ship to eventually reach 10,000 tons, with varying armaments including eight 203mm (8-inch) guns in four twin turrets before settling on a dozen 152mm guns in four triple turrets. The ship would be a miniature version of the Borodino-class battle cruisers, with a silhouette to match them. Admiral Butakov and Admiral Spiridov under construction. She would be powered by turbines, and make 30 knots. With her powerful armament she would have been able to overwhelm any German cruiser, and use her speed advantage to elude German armored cruisers with 210mm guns or rapidly close with them and overwhelm them with her greater rate of fire. Her size would also allow her to make use of Russian advances in gunnery direction. Cost overruns in the battle cruiser program scuttled that design, and project director I.K. Grigorivich was ordered to cut 7 million rubles from each ship’s budget of 15.3 million rubles, a drop of nearly half. And so the ship design had to be cut nearly in half as well: down to 6,500 tons and an armament of a fifteen 130mm (5.1-inch) guns, nine of them in single shield mounts and six in casemates. Speed would drop slightly to 29.5 knots, and the ship of course now required a smaller power plant to achieve that. Unusual for the time, a seaplane would also have been carried. Since the ship would no longer have turrets, her silhouette would be made to look like the new Novik-type destroyers then also in the design phase. The massive crane for the seaplane ruined that effect, but she did have three funnels just like the destroyers. She would carry two underwater torpedo tubes amidships, and was fitted to carry and lay 100 mines. She also had four 63mm anti-aircraft guns, and four machine guns fitted for the same purpose. A three-inch-thick armored belt stretched almost her full length, with two 20mm armored decks. 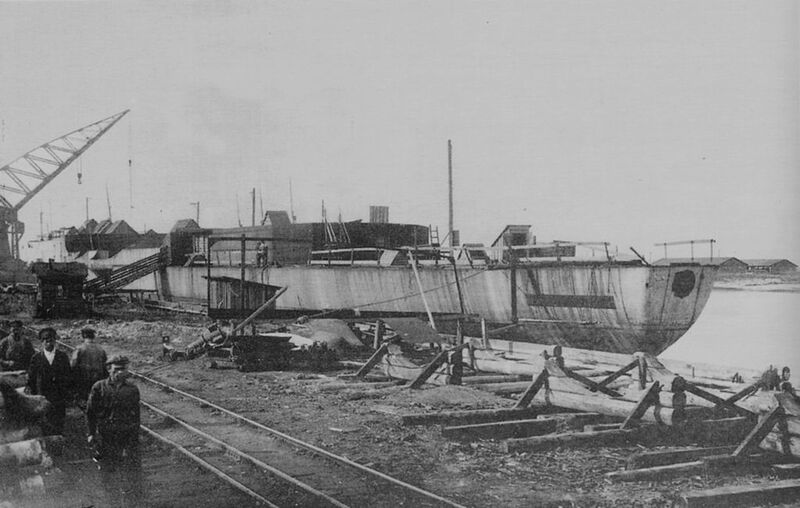 Admiral Nakhimov under construction at Nikolayev’s Russud shipyard, 1915. The first pair (Svetlana and Admiral Greig) were laid down in July 1913 at Russo-Baltic’s Reval (present-day Talinn, Estonia) shipyard, with their two sisters (Admiral Butakov and Admiral Spiridov) following in November at St. Petersburg’s Putilov Works. Four near-sisters, the Admiral Nakhimov class, were ordered for the Black Sea Fleet as well. One ship, Svetlana, was launched in late 1915 and the other three in 1916, but none had been completed when the revolutions brought a chaotic end to shipbuilding in 1917. Svetlana herself would be evacuated to Kronstadt when 85 percent complete, but would not be finished before the Tsarist government fell and she saw no action in the First World War. Svetlana would eventually be completed by the Bolsheviks after the war as Profintern; she transferred to the Black Sea Fleet in 1930. Renamed Krasny Krim in 1939, she survived the Great Patriotic War and was eventually decommissioned in 1958. Though some sources claim she was scrapped afterward, her hulk apparently still exists in Poti. The Bolsheviks also considered completing Admiral Butakov, 50 percent complete when work stopped for good. 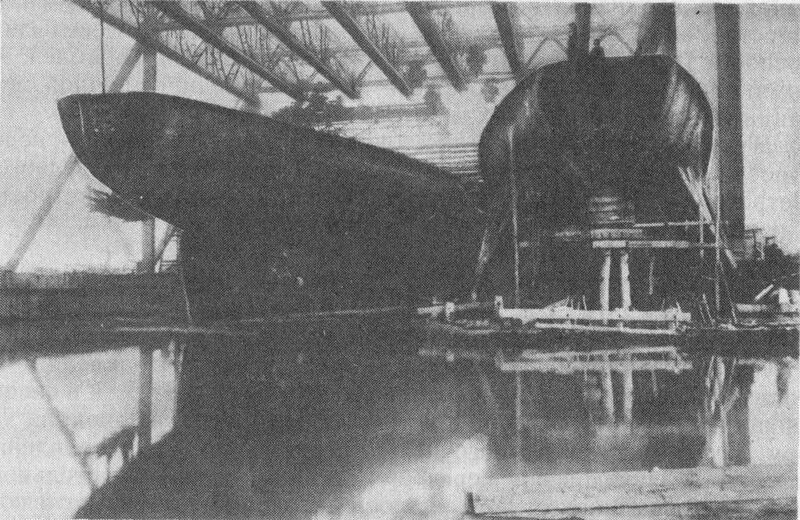 Renamed Voroshilov, she remained laid up in St. Petersburg (re-named Leningrad) awaiting completion for decades until she was finally noticed and scrapped in 1956. Svetlana as completed, as the Soviet Krasny Krim. The remaining two sisters were completed as oil tankers in 1926 (German submarine depredations caused a world-wide shipping shortage in the years following the Great War). They moved to the Black Sea, where one of them ran aground in 1938 and was declared a total loss and the other was captured by the Germans in 1941, scuttled in 1943, raised by the Soviets and used as a floating fuel depot until she was scrapped in the 1960’s. No other modern light cruisers were built for the Baltic Fleet; in 1915 a set of four fast minelaying cruisers very similar to the German Bremse was authorized, but no work began. Whether the Russians had knowledge of the German plans or simply drew the same conclusions from the experience of war in the Baltic isn’t clear, but they would have been very useful ships and likely forced the Germans to commit a large number of their own modern cruisers to the Baltic to protect the vital ore shipments from northern Sweden. Svetlana and her sisters would have been formidable ships as originally designed, decades ahead of their time. The Germans would have had no answer for them. As built, Svetlana compared well with contemporary cruisers but as the war continued she slipped into obsolescence before she was even complete. British and German light cruisers began to carry six-inch or 150mm guns with greater range and shell weight than Svetlana’s 130mm guns; her casemate mounts made it difficult to upgrade her armament to match. Her gunnery layout was much less efficient than that of later British light cruisers, which placed all of their guns along the centerline, but all of the German cruisers actually built shared this flaw as well. Svetlana still had an edge in speed, but later German cruiser designs would have eclipsed her. Admiral Spiridov laid up in St. Petersburg, 1917. As with the Borodino-class battle cruisers, the innovative design features of the light cruisers outstripped the ability of Russian industry to produce them. 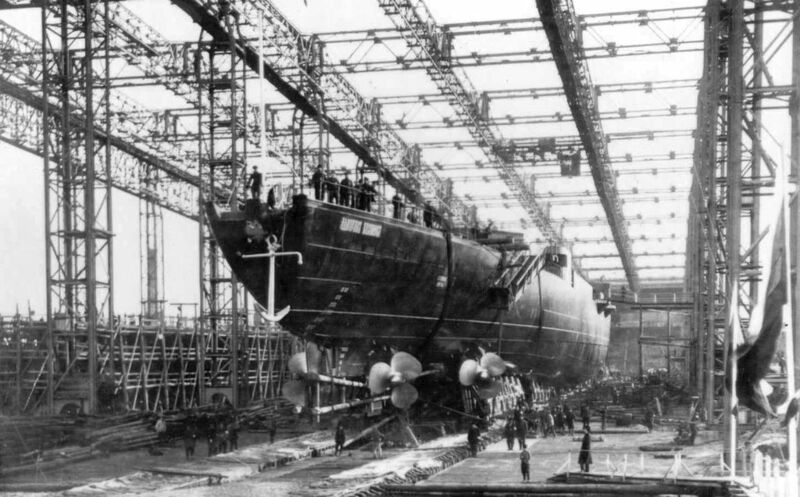 Russian industry underwent rapid growth in the years just before the First World War, but could not continue to produce ships once the shock of war struck, and still needed to import key components that now became unavailable. 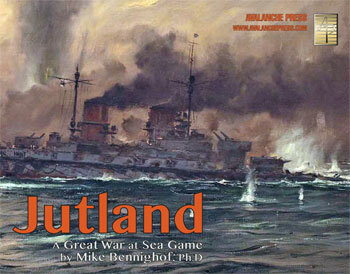 Pieces for Svetlana and her sisters appear in our Jutland game, but as with the Borodino-class battle cruisers they see no action in that game’s scenarios. That’s fixed in Jutland 1919, where they can take on their role as scouts and screen for the battle line and as independent operators deep in German waters.